A blaze that earlier today had residents of Allanson and Collie nervous has now been contained and brought under control. 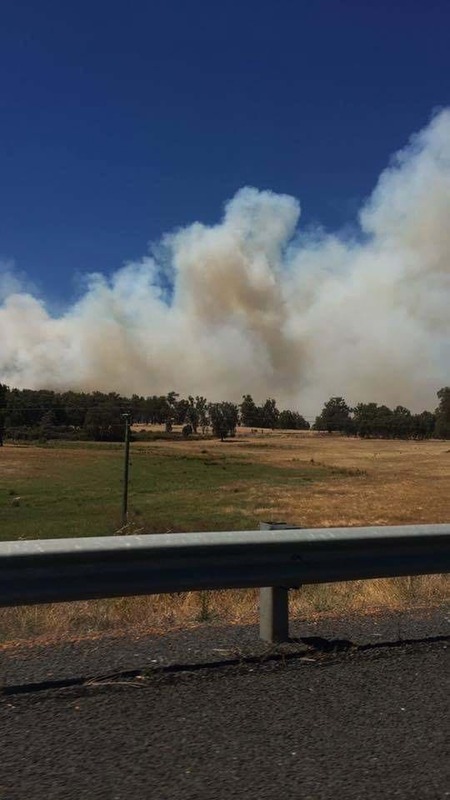 A bushfire ADVICE is now issued for people bounded by Coalfields Highway, Hamilton Road, Wallis Road, Mornington Road and Patstone Road, including Worsley Back Road, McAvoy Road and Railway Parade in Allanson. A change in weather conditions, including a switch of wind direction, has helped the firefighters save properties and land. Allanson was put under threat of fire when it was first reported at around 1:15pm and was immediately given emergency warning status, while Collie was also under watch and act conditions. Firies will monitor the fire overnight and into the morning, but most of the danger seems to have passed. The temporary evacuation centre at the Roche Park Recreation Centre in Collie has now been closed. As of 7:30pm, 158 hectares had been burnt from the fire. There is a chance that some power outages may occur while the last of the fire is being fought. 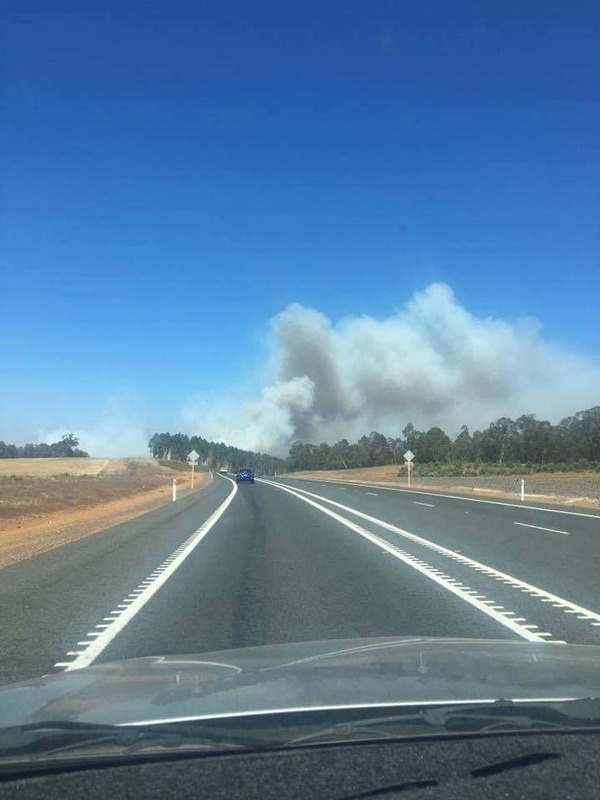 A bushfire ADVICE has been issued for people bounded by Coalfields Highway, Hamilton Road, Wallis Road, Mornington Road and Patstone Road, including Worsley Back Road, McAvoy Road and Railway Parade in ALLANSON in the SHIRE OF COLLIE. The alert level for this fire has been downgraded due to favorable weather conditions. An ALL CLEAR advice has been issued for people in COLLIE in the SHIRE OF COLLIE. The bushfire is no longer impacting the community in this area. Firefighters will monitor the area for the rest of the day/night. Firefighters are expecting the wind to change from north westerly to south westerly at between 6pm to 8pm. This means the fire will pushed away from the Allanson townsite. Local roads in the area may be closed including Worsley Back Road. Road information may also be available from Main Roads WA by calling 138 138 or visiting www.mainroads.wa.gov.au or by contacting the Shire of Collie. Western Power advises power supply may be interrupted. Firefighters are on the scene, actively fighting the fire. Approximately 30 Volunteer Fire and Rescue Service and Bush Fire Service firefighters are attending. The fire was reported at 01:12 PM on 20 January 2019. Currently there has been approximately 158 hectares burnt. Shire of Collie is managing the fire.